Größe der PNG-Vorschau dieser SVG-Datei: 800 × 421 Pixel. Weitere Auflösungen: 320 × 168 Pixel | 640 × 337 Pixel | 1.024 × 539 Pixel | 1.280 × 674 Pixel | 1.235 × 650 Pixel. Datum 11. September 2005 – 14. Mai 2008 , based on the above flag law as amended by Executive Order No. 10834 dated 21. August 1959 . 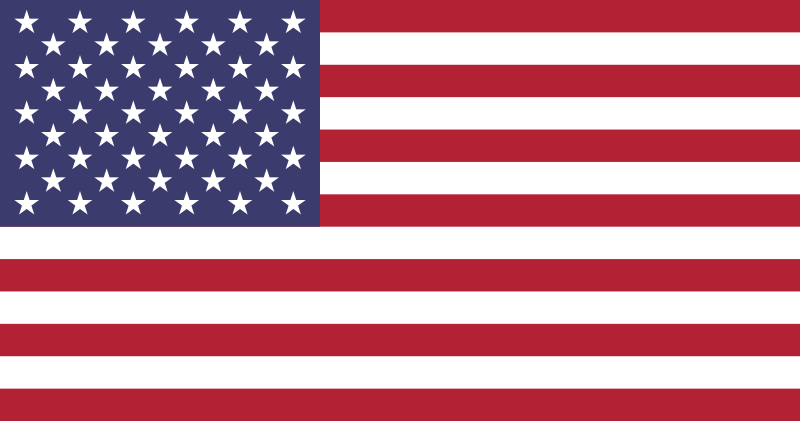 Quelle SVG implementation of U. S. Code: Title 4, Chapter 1, Section 1  (the United States Federal "Flag Law"). Urheber Dbenbenn, Zscout370, Jacobolus, Indolences, Technion. 08:32, 26. Nov. 2009 1.235 × 650 (1 KB) Blurpeace Reverted to version as of 20:37, 24 November 2009 Revert to the status quo. Please start a new discussion on the talk page. 00:00, 18. Nov. 2009 1.235 × 650 (1 KB) Zscout370 Now this time it works. All code was saved, except for the beginning (redundant code).